Properties in Mitchell Park average 4.7 out of 5 stars. Charming cozy cottage secluded in private woods in great close in location. Property 4: Charming cozy cottage secluded in private woods in great close in location. Utterly unique, stylish north Portland home with great location! Property 6: Utterly unique, stylish north Portland home with great location! 1BR Portland Cottage - Easy Downtown Access! Property 15: 1BR Portland Cottage - Easy Downtown Access! This Lake Oswego Cottage has stunning views of the Tualatin River! Property 20: This Lake Oswego Cottage has stunning views of the Tualatin River! Camp Heaven All The Fun Of Camping Without All The Work! Property 22: Camp Heaven All The Fun Of Camping Without All The Work! Beautiful Cabin in the heart of Oregon Wine Country - stunning views! Property 28: Beautiful Cabin in the heart of Oregon Wine Country - stunning views! Charming And Cozy 2 Bedroom Bungalow Located In The Alberta Arts District. Property 36: Charming And Cozy 2 Bedroom Bungalow Located In The Alberta Arts District. Private tiny forest cabin near Portland and local wineries. 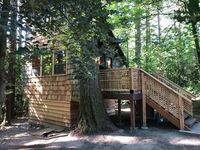 Property 37: Private tiny forest cabin near Portland and local wineries. The Urban Cabin! A unique cabin style studio in SE Portland. 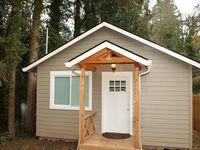 Property 43: The Urban Cabin! A unique cabin style studio in SE Portland. Property 44: A Charming bungalow! Pinot Noir Cottage - Stay on a Vineyard! Property 50: Pinot Noir Cottage - Stay on a Vineyard! Place was so clean and perfect for our family. It was central to the zoo and the children&rsquo;s museum.